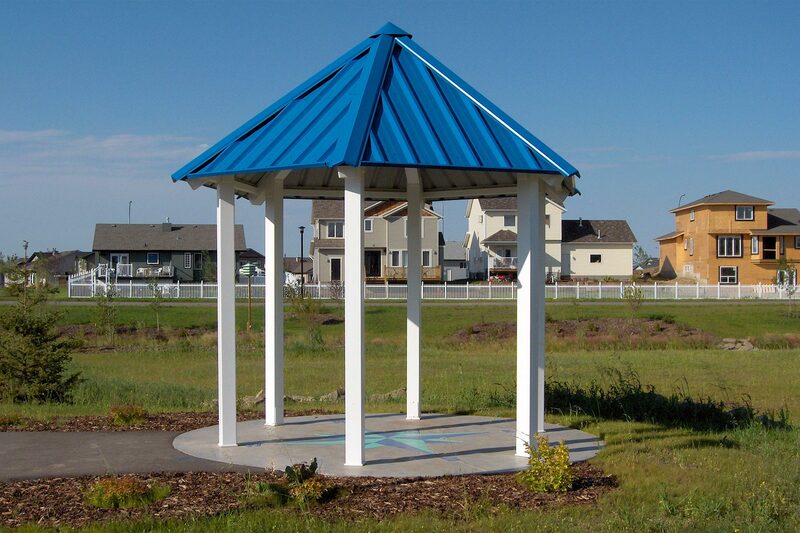 The fully engineered Maranda Series Gazebo is constructed with high-quality steel and will stand up to even the most extreme conditions. 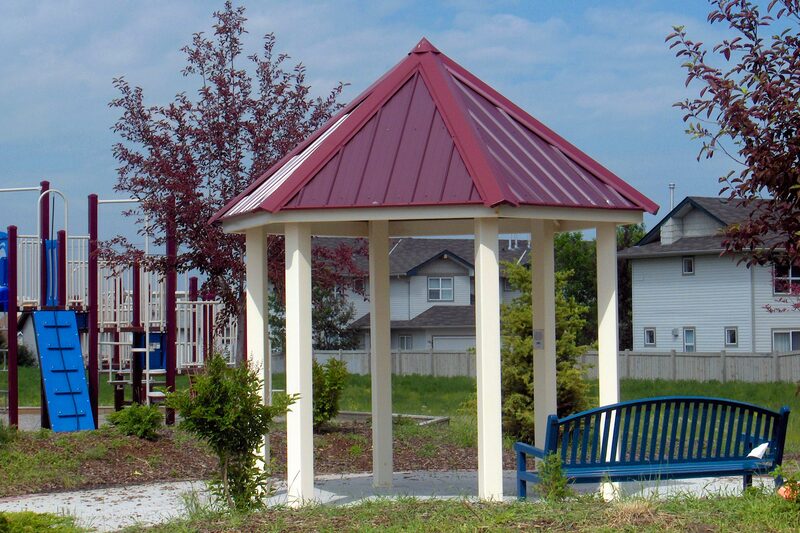 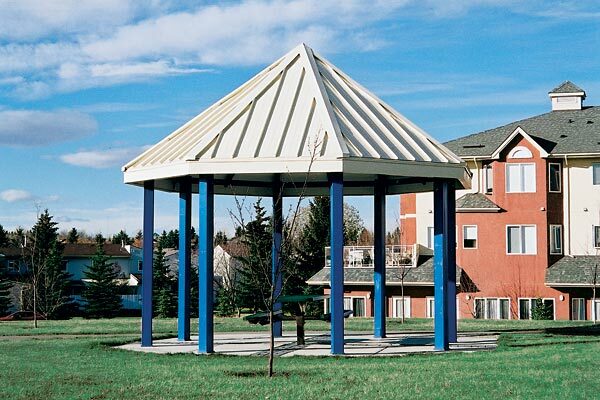 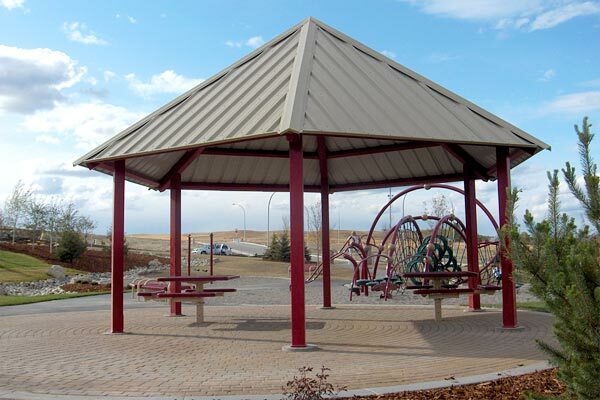 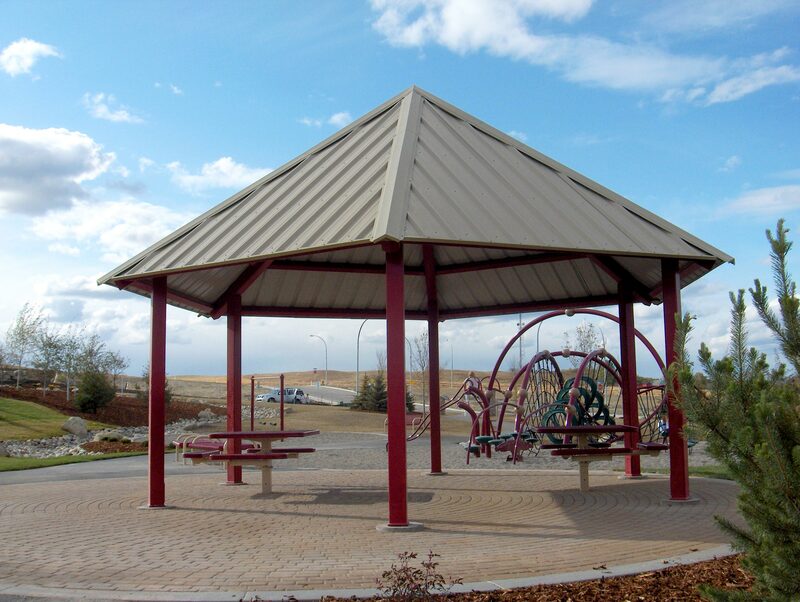 Gazebo roof material options include pre-finished metal panels, cedar shakes or asphalt shingles. Take advantage of a variety of valance and railing options to suit your site design preferences.